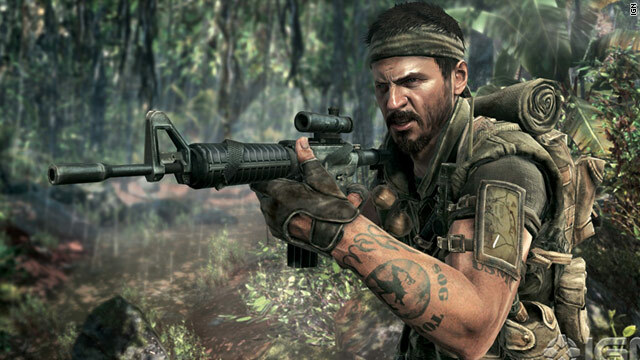 At an average of 67 hours, "Call of Duty: Black Ops" is reportedly the most-played recent game. Many others don't get finished. Only one of every 10 gamers finished the 2010 consensus "Game of the Year"
Editor's note: Blake Snow is a freelance journalist who has written about technology for Salon, Wired and many other news sites. He lives alongside the Wasatch Mountains in Utah with his family. His full bio and contact information is at blakesnow.com. (CNN) -- Once considered a cult pastime, video games have grown immensely in the last 30 years to become a mainstream fixture alongside movies and music. But you wouldn't know it by how often players finish their games. In fact, the attrition (or bounce rate) of video games is pretty pathetic. "What I've been told as a blanket expectation is that 90% of players who start your game will never see the end of it unless they watch a clip on YouTube," says Keith Fuller, a longtime production contractor for Activision. That's a lot of unfinished games. And it doesn't get much better when isolated to just avid gamers. "Just 10 years ago, I recall some standard that only 20% of gamers ever finish a game," says John Lee, VP of marketing at Raptr and former executive at Capcom, THQ and Sega. And it's not just dull games that go unfinished. Critically acclaimed ones do, too. Take last year's "Red Dead Redemption." You might think Rockstar's gritty Western would be played more than others, given the praise it enjoyed, but you'd be wrong. Let that sink in for a minute: Of every 10 people who started playing the consensus "Game of the Year," only one of them finished it. How is that? Shouldn't such a high-rated game keep people engaged? Or have player attention spans reached a breaking point? Who's to blame: The developer or the player? Or maybe it's our culture? The correct answer is, in fact, all of the above. Not only that, but time is precious for gamers of all ages. "People have short attention spans and limited time now," says Jeremy Airey, head of U.S. production at Konami. In other words, the longer the game, the higher probability a player will abandon it. "Red Dead Redemption" takes upward of 30 hours to complete, according to howlongtobeat.com, and few players are willing to commit that much time. Not only that, but the accelerating rate at which new games are released cannibalizes existing games and further distracts the already inundated player. "In the last two decades the growth of video games has produced a huge influx of games," Fuller says. "There are more players today, but there are also more games per player. Since you can't spend as much time on each game, you're less likely to finish the one in front of you." Not only did gamers have more time in the eight- and 16-bit days, but they had fewer games to complete. Of course, engagement levels vary by genre and difficulty. "As expected, 'Red Dead Redemption' is the lowest completed high-profile game because it's so big," Lee says. The gaming platform has an impact on completion rates as well. Low-caloric and hyper-short web games are finished 85% of the time, according to Backloggery.com, a website that helps players finish the games they already own before buying new ones. Conversely, meatier games on PS3 are finished less often, according to Backloggery. Either way, this shifting demand is more than enough to sway developers in a different direction. For starters, they are creating less epic games, at least in terms of duration. "Long gone are the days of starting a game on a high-level concept," says Konami's Airey. The reason: "It's costly," he says. "I worked on a project that took 50 people and 18 months to produce 20 minutes of game play," he says. "With the expectations so high for visual and audio fidelity, lifelike animations, enemy behavior and movie-quality cinemas, it can take two years for a team of 100 people to create six hours of playable story. At an average burn rate of $10,000 per man month, that's $24 million just in developer cost. You're not likely to find a publisher that will foot the bill for extending that campaign to 20 hours." Of course, why make a 20-plus hour game when most players aren't completing them, as is the case with "Red Dead Redemption"? The answer is, most publishers don't. Which brings us to perhaps the biggest contributing factor in the decrease of lengthy campaign modes. It is this: Gamers may say they like playing epic single-player games. But when push comes to shove, what they really want is online multiplayer. "The trend of low completion rates is equally driven by the growing importance of multiplayer," says Scott Steinberg, head of video game consulting firm TechSavvy. "Companies are more aware than ever of where and how games are being consumed, and what features players look for. As a result, they're de-emphasizing single-player, which seem to demand lower levels of player time, energy and investment." But that's not entirely true. What's really happened is that with their change in lifestyle, gamer tastes have evolved. Instead of "Zelda"-like games that take longer to start and resume, they're more inclined to play stop-and-go titles in bite-size games. Need more convincing? "These days, I know many people who buy the latest single-player/multiplayer shooter (game) and never even bother to load the single-player," Fuller says. So it's come to this: People have less time to play games than they did before. They have more options than ever. And they're more inclined to play quick-hit multiplayer modes, even at the expense of 100-hour epics. Not at all, Fuller says. "They're lucky to find the time to beat a 10-hour game once or twice a month," he says of the average-age gamer. "They don't feel cheated about shorter games and will just play a longer game for as many hours as their schedule allows before moving on to another title. Steinberg agrees: "Just because you don't slay the final boss or rescue the princess doesn't mean you can't see most of, if not all, of what a game has to offer in the hours leading up to it." "Completion rates are actually on the rise," Lee says. "Many games now have a 40% to 50% completion rate, thanks to 10-hour campaigns instead of the 20-30 hour ones of yesteryear. Of course, that's good or bad depending on how you look at it. It's better than before. But it still means that more than half of all game content never gets appreciated." "We're at a stage now that we're trying to find ways to keep mind share (consumer awareness about a product)," he says. "When the consumer is not playing our game, their friends aren't either. So games will trend toward being shorter and then support the need for 'more' via downloadable content." No matter, says Casey Willis, an avid gamer from Atlanta. "Make a game worth my time and money, and I'll be happy. After all, 10 hours of awesome is better than 20 hours of boring."